Bloggers know how to make stuff. 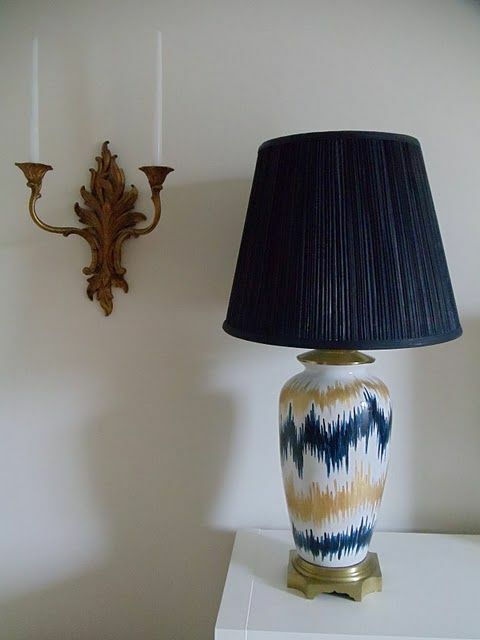 First of I am dying to get my hands on the below lamp. I want to get a plane ticket just to visit these girl's booth so I can purchase that lamp crafted by Bri. No seriously though why do some of my favorite bloggers live in the Atlanta southernish Nashville area? Realistically I am probably going to have to go thrifting so that I can find a $3.00 lamp to take a paint pen to. Seriously I love the below lamp..it looks more than legit. Secondly, Naomi has skills I love her blog and she too makes and crafts beautiful things. 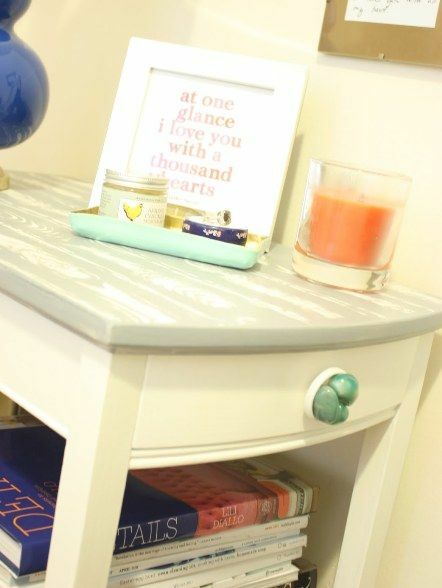 You may want to pay her a visit to see her amazing IKEA hack amongst other things because she does more than just hacks;-). Go here to explore all of her awesome projects. Lastly, LinsB is not short of inspiring one to drive straight down to the craft store to make a little somethin. If you read my IN YOUR SHOES feature then you would know that I went to the mineral store on a hunt for some pretty rocks that I could turn into hardware like she did. Go here to see how LinsB made her new hardware. 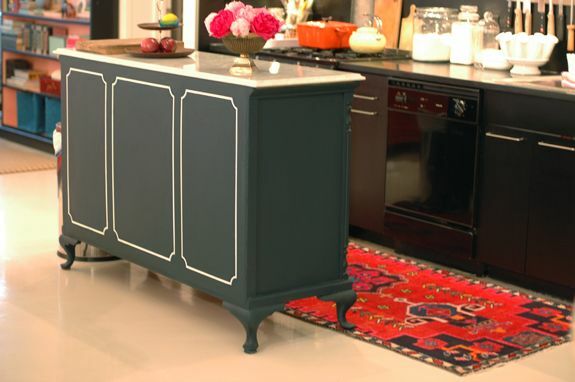 Oh wait one more..did you happen to see my sugar momma's latest DIY kitchen island that she made from an old dresser ? (there has got to be at least two of you out there that read my blog who doesn't read her blog that this could benefit;-) In blog terms sugar momma has nothing to do with money but refers to a genius resource of DIY design knowledge who shares it freely. Seriously Jenny has been so good to us. I was thinking about going to a boneyard to get a piece of marble but Jenny points out that finding a piece of furniture with marble on Craigers could be a little more cost savvy. What are you loving out there in the DIY world? I know there is way more stuff out there but the above goodness just happens to be on the brain. You are so sweet!! How much do I owe you for you kind words?? But for real... Jenny, Bri and Naomi are INSANELY creative and just being in the same post as them make me blush like a 16 year old school girl with a mad boy crush. I think I have a school girl crush on all of them. Thank you Christina, you are the best! 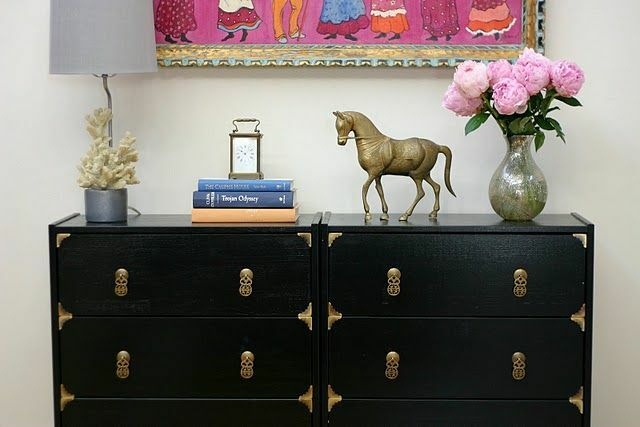 PS- after I posted that pull I went home and painted the button part gold...it was like angels singing! Totally took it up 100 notches, I love it now! I love the colours in the lampshade. Excellent work!! Wow! Loving all of these projects and so psyched for the intro to a few new-to-me blogs. That lamp is insane! In the best way possible :) Have a happy and creative weekend! Thanks for the shout out Gurl!!!! And to think I almost painted the lamp over! Seriously Nashville has all kinds of good stuff. Music city is the shiz. We has good food too. So funny - I JUST did a post like this yesterday. Love finding new reads! Bri's goodies make our antique booth shine! Definitely worth a plane ticket to Nashville! Love all the ladies you featured! I am more of a look for a bargain girl and try to clean it up...not using power tools or a sewing machine. That's why I think I am fascinated with people who CAN do these amazing things. Bri's blog is hilarious. I laugh out loud. Linds is nuts, super creative, and lives down the street. And calling Jenny your/our sugar momma is so true. Christina, thank you!! You are the sweetest. I've never thought of myself as crafty, but I guess it's cool to reinvent ourselves while we reinvent stuff, right? I was blown away by Jenny's island and Bri always whips out the good stuff. Oh and Linds' pulls are the bomb! Beautiful images! So funny that I stumbled upon your blog because I have seen you out and about shopping with your children before. I remember you because you are gorgeous and you had all of these adorable children next to your side. Like cute little ducklings. How suprising to me to stumble upon here and realize it was you!